The Hotel is open 24/7. There are three lobby rooms where you can relax on comfortable sofas or have a drink in the bar and browse through the small international library of foreign books, city guides and various brochures providing tourist information, travel advice, transport schedules and other helpful tips. 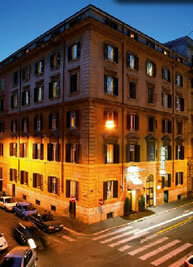 The hotel offers a comfortable and friendly, young, environment with efficient staff who are multilingual. 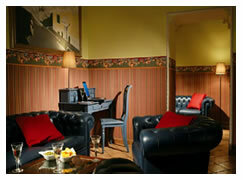 Guests are provided with various modern facilities at The Kennedy Hotel. The friendly and experienced staff are also on hand to attend to all your needs. There is an airport shuttle service and a laundry service. Lifts serve all floors. The Hotel can organize sightseeing tours of the city and other different places with a multilingual guide if requested. The front desk is open 24 hours a day so you can check in at anytime. Every morning from 07.45 to 09.30 there is an “All You Can Eat Continental Buffet Breakfast” which is included in the nightly rate. Luggage can be stored within the hotel at the free-of-charge baggage store room if guests arrive early or wish to have one final stroll before traveling on to their next destination. Check out is at 11.00am but you can stay in one of the lobby rooms until the evening. If you wish to store smaller belongings safely during your stay there are safe deposit boxes at reception which can be used free of charge. The Hotel is non smoking. Pets are welcome. Baby cribs/cots are available on request. Guests can use the reduced price garage in the vicinity of the hotel. There is access for travelers with disabilities.